The friendly staff at United Medical welcomes your call! We look forward to serving you. If you have any questions about our multispecialty services, feel free to contact your nearest office location. To schedule an appointment, Press 1 on the prompt. For Prescriptions, press 2 to be connected to our Rx line. If you have an urgent medical need and need to talk to our doctors after our regular hours, please call the office to be directed to our after-hours messaging service for your particular location. In the event of a life-threatening medical emergency, call emergency medical services at 911 immediately. DO NOT WAIT! Inform the emergency room staff that you are a patient of United Medical, and they will contact us. 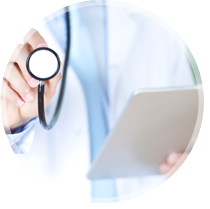 From primary care doctor: If one of our primary care doctors suggests a specialist evaluation or diagnostic testing that requires a referral, we will make every effort to provide this for you as soon as possible. Some referrals require insurance preauthorization and cannot be processed immediately. Insurance guidelines prohibit us from backdating referrals. We require three business days for the processing of routine referrals. To a specialist: If your insurance is an HMO/managed care plan and you are required to obtain a referral from your primary care physician to see a specialist, the referral must be obtained before you can be seen for an office visit. Please coordinate this with your primary care physician in advance. Appointments will be rescheduled if required referrals are not received in the office by the time of your visit. Do you have questions, comments or feedback? Tell us about your experience! We would love you hear from you! Please contact the Privacy Officer, BHMG-UM, 612 Rutherford Ave, Lyndhurst NJ 07071, (201) 460-0063 x229 or helen@unitedmed.com.